The Los Angeles County Department of Public Health Injury & Violence Prevention Program (IVPP) collaborates with community and county partners to support the prevention of violence (suicide, homicide, intimate partner violence) and unintentional injuries (motor vehicle collisions, falls, unintentional overdoses). IVPP regularly monitors the occurrence of injuries and deaths among the residents of Los Angeles County, provides health education through presentations and provides technical assistance and evaluation support for partners. IVPP’s key programs include the Child Passenger Safety Program, the Los Angeles County Violent Death Reporting System, support for Parks After Dark, and the Trauma Prevention Initiative. The goal of IVPP is to reduce the leading causes of injury related death and disability for Los Angeles County and promote the well-being, health and safety of individuals and communities. On March 13th, The Los Angeles County Board of Supervisors introduced a motion, that passed unanimously, directing the Department of Public Health and Chief Executive Office to develop a plan to outline the staffing and resources needed to create a new countywide Office of Violence Prevention within DPH. The board response also includes outlining a plan for rolling out a 6-month strategic planning process. 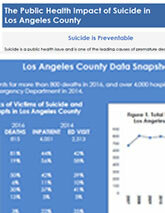 Suicide continues to be a leading cause of preventable injury and premature death in Los Angeles County. The Injury and Violence Prevention Program urges the public to learn more about suicide risk factors, warning signs and resources to help someone who may be at risk. 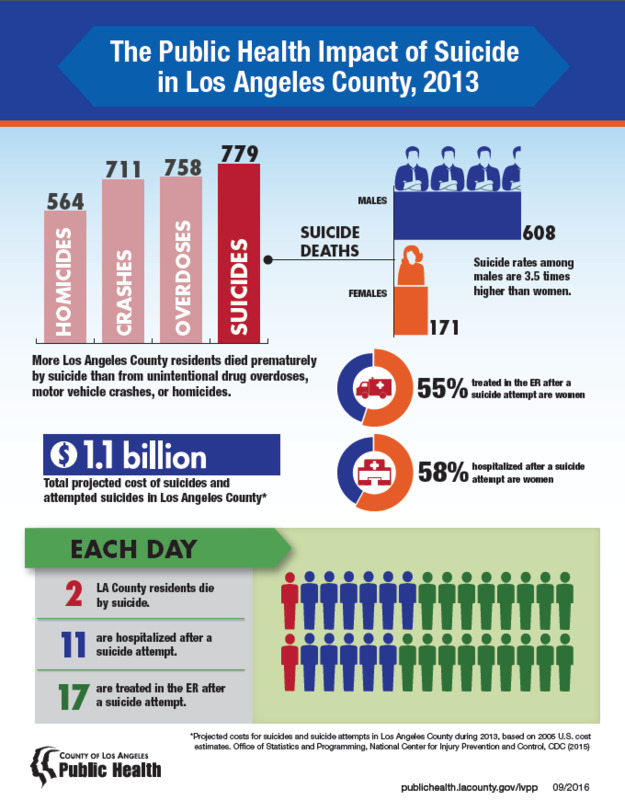 of Suicide in Los Angeles County. 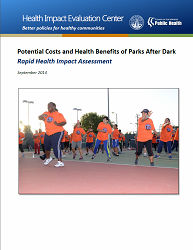 The report, Potential Costs and Health Benefits of Parks After Dark: A Rapid Health Impact Assessment, examines the potential impacts of Parks After Dark on safety, physical activity, and cross-sector collaboration. 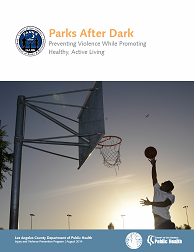 Continuation and expansion of Parks After Dark would have positive impacts on the health and wellbeing of residents who live in areas disproportionately impacted by violence, obesity, and economic hardship. Want to learn more about how parks can have a pivotal role in addressing violence prevention while at the same time combating obesity? 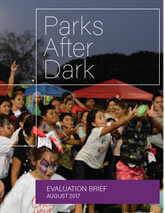 Parks After Dark Brief contains information about the innovative program found at many Los Angeles County Parks. 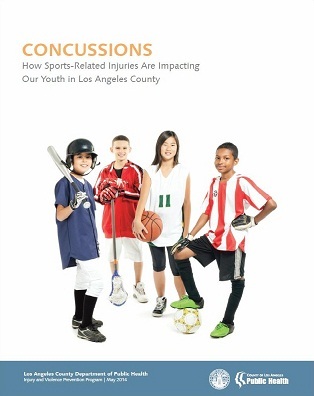 The Concussion Report provides information on Los Angeles County residents who were treated for a concussion either as a patient in the hospital or in an emergency department.